HomeBlog June 2014 We're Crazy for Collage Clay and Mod Molds! We're Crazy for Collage Clay and Mod Molds! Our Mod Mold designs are so fun to create your own trinkets, ideal to use in fun and funky decoden projects! We used our Flower Mod Molds along with rhinestones to create our decorative monogram. Use the same design like we did with the flowers above to create a cool graphic, repetitive effect. Buttons and a color palette of paint in browns and greens make the forest come to life on this cell phone case. Use Drizzle Paint and Podgeable Glitters to get an extra dimensional effect like on our Celebrations phone case. Bling out your cell case before walking down the aisle with this wedding theme! The use of our Collage Clay in Strawberry Pink gives it a special touch. New Mod Melts available in colors make it super easy to create projects - we love how they look using the Gem Mod Mold! Ready to start your own craft-stravaganza? 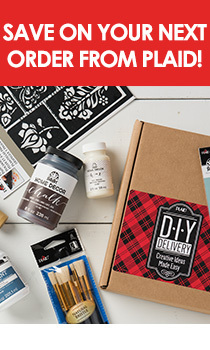 Learn more about how to work with Collage Clay, and find our new Mod Podge products in Michaels.